Creating a CV* can seem like a daunting prospect for the new editor or proofreader with little experience. It needn't be so. Here are a few simple ideas to help you on your way. The hook might be an introductory headline, set out in bold or a different colour, which captures your business ethos. It might be a glowing testimonial. Or it could be a simple, clearly articulated statement in the first line of text that highlights your USPs. Whatever you choose it should be something that grabs the customer’s attention. The pitch will include those key selling points that summarize what you do, e.g. your training, experience, relevant background, and subject specialisms. The call to action is where you tell your customer what to do next: how to contact you to discuss a project. Here you can include your telephone number(s), email address, website and postal address. The 'pitch' element of your CV needs to incorporate the unique selling points (USPs) that will make you most interesting to your reader. They might include your training, previous educational or career experience that is relevant to the customer, and the subjects you specialize in (again, relevant to the customer). The differentiation–solution–empathy framework helps you to structure this content in a persuasive way. ‘Differentiation’ is about the USPs that set you apart from the crowd or that enable you to do something that your client can’t do themselves. ‘Solution’ concerns identifying what the client needs and demonstrating how you can provide it. ‘Empathy’ involves acknowledging the challenges a particular client faces and reflecting the fact that you understand what these are and can respond accordingly. Margo is British-born but her mother is from Denmark. She’s bilingual, has a degree in English literature, a Master’s in Social Policy and Administration and is a qualified social worker with ten years’ professional experience of working in the Children and Family Services departments for two UK county councils. She's completed a proofreading training course with one of the UK’s respected training institutions and has joined her national editorial society. She's only recently set up her business and has no experience, previous clients or testimonials. Now she focuses on the main content of the document, using the differentiation–solution–empathy framework to help her structure the information. ‘Differentiation’: She's bilingual and wants to present herself as a specialist ESL provider. ‘Solution’: She thinks that her client group will want someone who is familiar with the language of the social sciences and trained to professional standards. ‘Empathy’: As a Master's student herself she understands the pressures of academic life and that flexibility, quick turnaround and approachability will be as important as her attention to detail. I am a bilingual proofreader specializing in working with students and independent academics, in UK universities, for whom English is a second language. 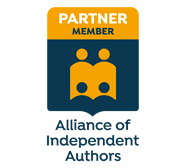 I am affiliated with the UK’s top industry-recognized professional organizations – I trained as a proofreader with The Publishing Training Centre and I am an Associate of the Society for Editors and Proofreaders. I have an MA in Social Policy and Administration, a Diploma in Social Work and a decade’s worth of practice-based experience as a qualified social worker. I understand the language of the social sciences, particularly the sub-disciplines of child and youth studies; criminal justice; diversity; domestic disputes; evidence-based practice; interpersonal violence, family law; family studies; health research; learning disabilities; public and social administration; social policy; social work research and practice; women’s studies; and youth community work. I understand the demands of working in pressurized academic and professional environments and offer outstanding attention to detail, a friendly and approachable manner and, when you need it, a quick turnaround. I always deliver within budget, never miss a deadline, and pride myself on being able to follow a client's brief. Once Margo has added in her business title at the top of the page and her call-to-action and contact details at the bottom, she'll have everything she needs for her starter CV. She could introduce some sub-headings to help her reader navigate the specific sections quickly and she might expand her use of bullet points to make the critical information more digestible. ​If she uses wide margins, effective line spacing, a readable font that is easy on the eye, and a simple colour way that matches her business brand, she will end up with a beautifully presented and professional CV. Adds value to your website: Lets customers download (and print) a summary that they can read at their own convenience. Multi-purpose: Can be printed and used as a brochure at face-to-face events if it’s kept to one page. Professionalism: Shows clients that you can organize information and communicate succinctly. Communication: Helps you to think about how you communicate your USPs to your customer. Content is usable on multiple platforms: You can use the pitch for other marketing activities. I hope you've found these ideas useful and that the frameworks provided offer you a way of thinking about how to structure the critical information you do have available, even if you've only just entered the editorial freelancing market. Louise has invited me, as training director of the Society for Editors and Proofreaders, to explain what the thinking is behind making our training courses available online, and what lies a bit further down the road. The "why" is simple enough: there’s a strong demand for distance learning courses that are accessible online. The SfEP office regularly receives enquiries from people outside the UK, asking when we’re going to deliver training online so that they can benefit from it. For that matter, we regularly get enquiries from would-be students in the UK, asking exactly the same question. Why? Because they can’t afford the time away from their desk, or they have family commitments, or they can’t afford the travel (and sometimes accommodation), or the dates of the classroom-based course are inconvenient. This demand for online courses was also highlighted in the last annual membership survey. the opportunity to interact with other students via the course forum. This is not to say that there’s no place for classroom-based courses. They have their own unique advantages in their networking opportunities and the fact that you can put your hand up and immediately ask awkward questions of the living, breathing tutor in front of you. In short, training is demand-led. We are making our courses available online because there is a demand for it, and we will continue to deliver classroom-based courses for as long as there is a demand for them. We are planning to make Copy-editing Progress available online before the Society’s conference in Exeter. (Are you going to the conference, by the way? If you are not, well, I would encourage you to check out what’s on offer via the SfEP website.) The other three courses should be online before the end of 2013. Once these entry-level courses are in place, my aim is to target the "specialist" market and provide half a dozen online-only courses on specific topics, although these are only a glint in my eye at the moment. Budget constraints mean that I can target only one of these courses during 2013/14: the others will, I hope, be developed early in 2014/15. So there’s a lot happening. Follow us on Twitter and Facebook and keep an eye open on our website for future announcements on the progress of SfEP’s delivery of online training.